Web of Mimicry is delighted to open the doors to the Free Salamander Exhibit. 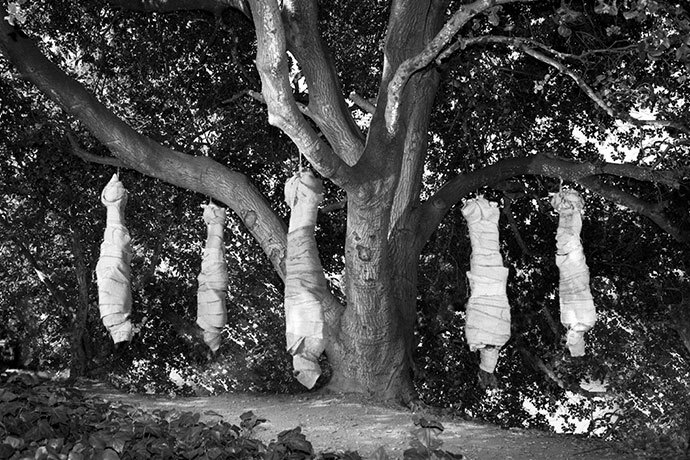 For an anticipated duration of years 4/5ths of the staff of the legendary Sleepytime Gorilla Museum have been assembling this installation behind the spindly curtains of their collective creative cocoon. Insiders will have heard the rumors — tales told over campfires at their yearly assemblies — of a silent germination taking place somewhere in the wilderness of California. And now, suddenly and without warning, the collective bursts forth — the doors fly open and the Exhibit's long-anticipated unveiling is upon us! Undestroyed delivers a genre-damning assault of clarity, confusion, tottering riffage and apocalyptic joy to the listener. 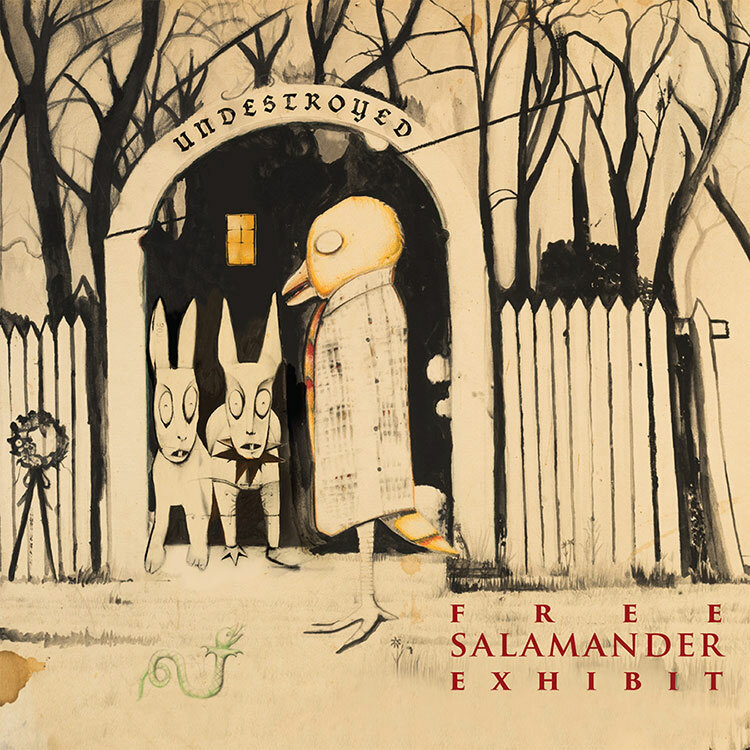 What is probably most distinguishing is that, Lo and Behold, Free Salamander Exhibit is a band in the truest sense of the word. A very real, well-honed, cared-about and labored-over band that builds upon its ancient and true chemistries with their new ideas. Forgoing any suggestion of cheap imaginary elaborations into digital simulacra, we are rewarded with Free Salamander Exhibit's preference for their arsenal of imaginative homemade musical instruments (in addition to their guitars, basses, and drums). Though it's difficult-as-ever to characterize much about this collective with any accuracy, Undestroyed sees them embracing their true art-prog-rock (in opposition) calling as never before. Both initiates and newcomers are better off abandoning all expectation as they step into their new curatorial realm. Artwork immersion comes in full-spades with a 6-panel Digipak and 4 page insert — a lavish and fitting accompaniment to the barbed rhythms, pungent harmonies, prickly textures and somnambulistic poetics. What better way to punctuate the headlong stumble "Into the night, into the dark, into black silence” than to walk across the threshold of Undestroyed? WoM Store accepting pre-orders now.